Bay City New Years Eve Prim Drop 2019 Celebrations – Thar She Blows! 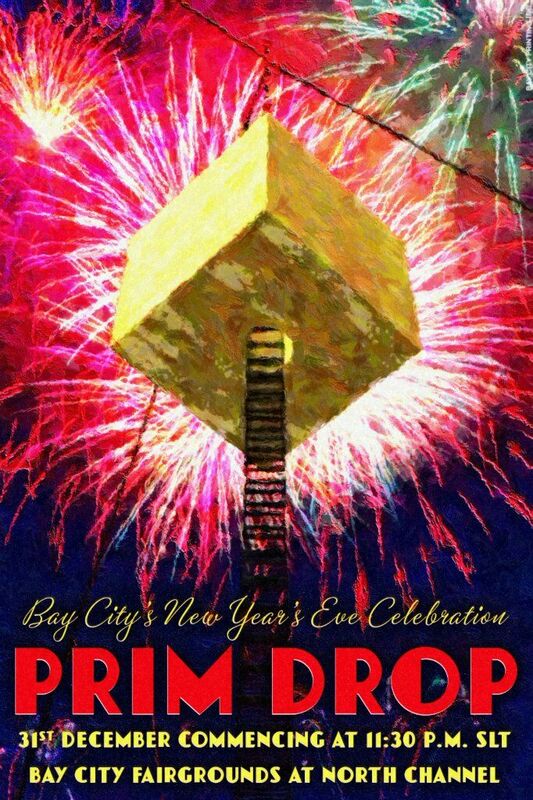 Bay City will be hosting their annual prim drop event on new years eve starting at 11.30pm SLT on Monday 31st December 2018. The event will be happening at Bay City Fairgrounds at the North Channel region in Second Life. Earlier this year Bay City celebrated their 10th anniversary in Second Life which was incredible. I’m sure 2019 will be another awesome year for Bay City events in Second Life. Food and drink will be provided. There will be a hour long DJ playing tunes to bring in the new year too. Everyone is welcome to attend to celebrate the new year 2019 in.